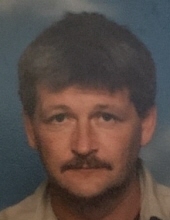 Celebrating the life of Lewis H. Mathis, Jr.
Obituary for Lewis H. Mathis, Jr.
MANNING – Lewis Herbert Mathis, Jr., 54, died Friday, March 15, 2019, at McLeod Hospice House. Born September 2, 1964, in Manning, he was a son of the late Lewis Herbert Mathis, Sr. and the late Mary Francis Stephen Avins. He was a welder. He is survived by two sons, Wyatt Stephen Mathis and Lewis Herbert Mathis III, both of Pinewood; a daughter, Danielle Marie Bochette of Sumter; two grandchildren, Braylen and Caleb Pack; an uncle, William Thomas Mathis (Bert) of Oklahoma; an aunt, Pandora Stephen Bennett (Bill) of Manning; and special cousin, Keith Bennett. In lieu of flowers, memorials may be made to Stephens Funeral Home to help the family with funeral expenses. To send flowers or a remembrance gift to the family of Lewis H. Mathis, Jr., please visit our Tribute Store. "Email Address" would like to share the life celebration of Lewis H. Mathis, Jr.. Click on the "link" to go to share a favorite memory or leave a condolence message for the family.